MudgeWare is a New Brand Created by Mudge Studios. Mudge has been creating Cool Tees for Well Over 20 Years. Are you on Santa's Naughty or Nice List? 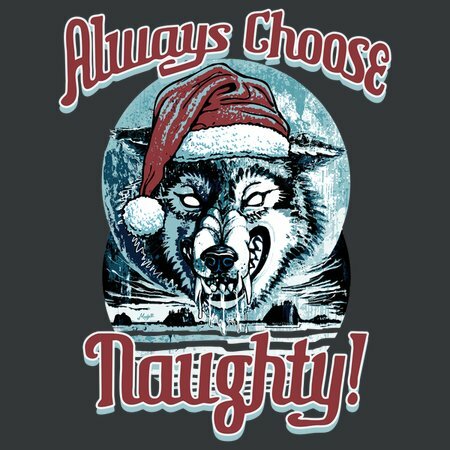 We know you'll love Our Always Choose Naughty Winter Wolf With Santa Hat T-Shirt Design. Great Gift Idea for Winter Sports Lovers of All Ages.